So goes the advertising platform for DBS, the largest bank in Southeast Asia. These people know -exactly- what’s happening right now: wealth and power are shifting East. This is something that has occurred frequently throughout history. In the Dark Ages, back when Europe was festering in the Bubonic plague and silly wars of succession, the Ming dynasty was the most advanced civilization on the planet; China led the world in science, literature, technology, medicine, etc. At the time, the Ming economy was the world’s largest and most prosperous. They used silver as a medium of exchange, and the typical Ming household was worth more than a European village. Correspondingly, the Ming Dynasty also had one of the lowest tax rates in the world, in the neighborhood of 1.5% to 2%. Eventually it all faded. Ming society sat on its laurels and began running empire-sized deficits. In time, the system failed and power shifted west to the Ottoman Empire (which gave the world its first coffee house in the 1500s), then to Spain, France, Great Britain, the German Empire, and finally to the United States. Along the way, one of the most important factors that drove these transitions of power was economic prosperity. The Ming dynasty was powerful because it was wealthy. Great Britain became the world’s leading power because it grew wealthy from the Industrial Revolution. The United States became the world’s superpower because it was the wealthiest nation. Wealth drives everything. Military might, scientific achievement, medical breakthroughs, and technological advancement are all possible in wealthy societies. Of course, nations don’t just become wealthy by accident. National prosperity is built on a foundation of savings, economic freedom, ingenuity, and hard work… all factors that are in terminal decline in the west today. Western governments are already technically insolvent, devoid of any net savings whatsoever. And with each passing day, they create new regulations, new taxes, and new controls to destroy any remaining economic freedom in their economies. Yet Asia has mastered all of these fundamentals. Hong Kong and Singapore routinely set the standard for economic freedom. China leads the world in foreign reserves. And these cultures are all about hard work. The average Korean, for example, works 1,000 hours per year more than the average German. Here in Thailand, people who don’t have a job simply create one for themselves— selling fruit on the streets, fixing flat tires, whatever they can do to trade their skills and labor for income. On the flip side of reason, France’s new socialist president Francois Hollande recently announced that students in his country would no longer have homework because some disadvantaged children don’t have parents at home to assist them. Hollande’s solution to this social injustice? Make everyone the same. Eliminate parental responsibility for education, increase the state’s role in childhood development, and make sure the kids know that they don’t have to work hard in life… that the government will be there to support them. Incredible. And indicative of how far the West has lost its way. 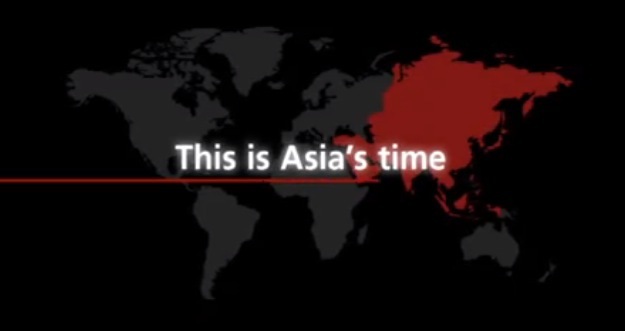 Asia’s rise is inevitable. The West’s decline is terminal. Again, this has happened so many times throughout history, it’s nothing to be anxious about. It’s an exciting time to be alive and witness first hand. Moving may be a radical idea… but it’s at least worth considering business, investment, and financial opportunities here. One easy proxy is to hold a portion of your long-term savings in Asian currencies; the Philippine peso (easy to open a bank account there) and the Singapore dollar have particularly attractive long-term fundamentals.